We proudly present our Official WWII, Korean War Service, Korean War ROK, Vietnam, Desert Storm, Afghanistan and Iraq Veterans Military Watches to honor your service to our Country. 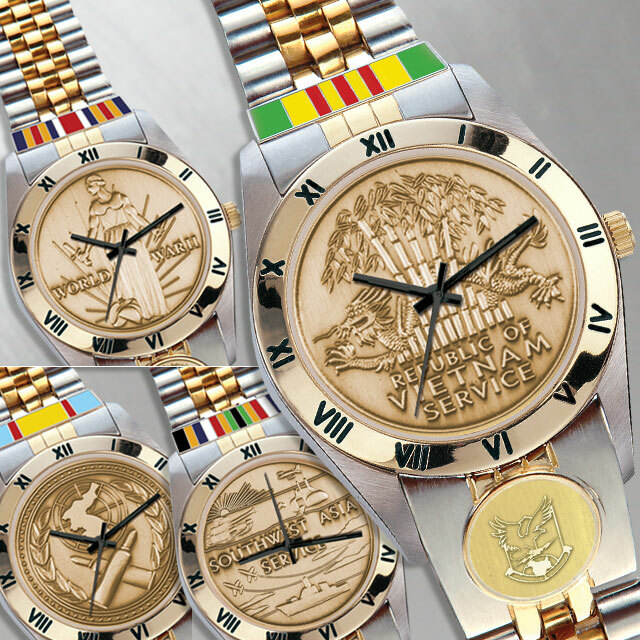 The unique watch dials are replicas of the Service Medals and stand as a powerful reminder of the bravery and sacrifice made by so many during these historic conflicts. • Watch band is decorated with 23 Karat Gold, and set with hand-enameled Service Ribbon above the Service Medal dial and your choice of Air Force Career / Division Insignia below the dial. 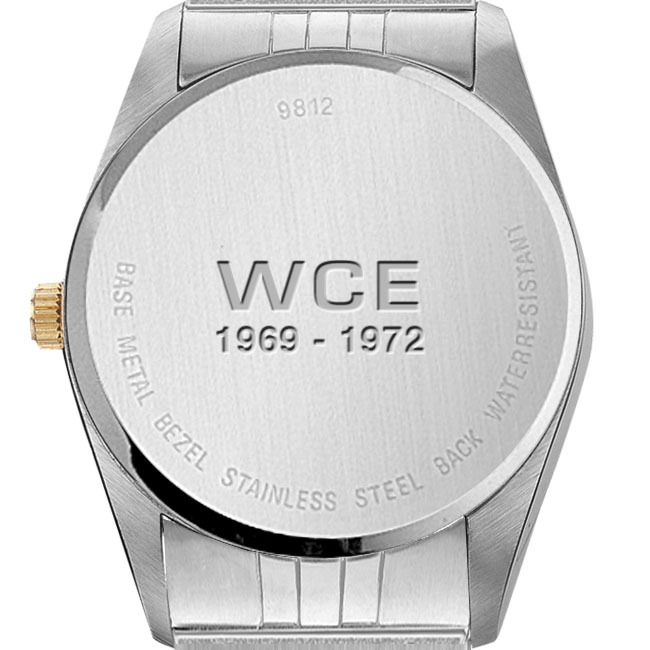 • Features include a precision quartz movement for accuracy within seconds per month. • Water- resistant case and adjustable bracelet, both decorated with 23 karat gold. You have earned the right to wear this historic watch. Korean War Service, Vietnam Campaign, Afghanistan and Iraq also available!